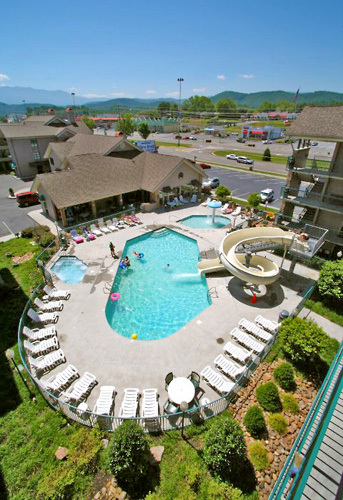 Accommodations by Willow Brook Lodge is located in the heart of Pigeon Forge. All rooms are equipped with a refrigerator, microwave, coffee maker, iron & ironing board, and hair dryer. The large pool area includes a 75 foot waterslide, rain tree fountain & spa. Enjoy continental breakfast, free wireless Internet, guest laundry, hot tub, outside corridors, and smoking & non-smoking rooms. Little Pigeon River on property. 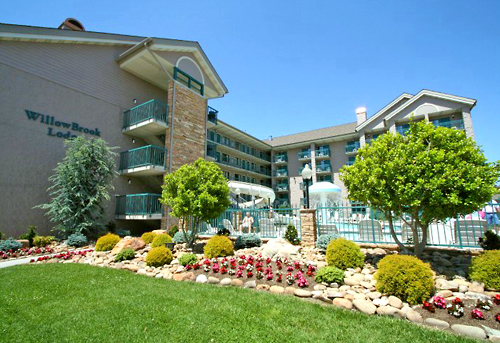 One of the closest hotels to the LeConte Event Center. Next door to Big Daddy's Pizzeria and Walgreens. 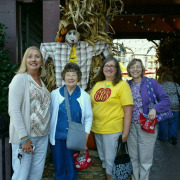 Accommodations by Willow Brook Lodge offers you the finest in Pigeon Forge accommodations and lodging. With over 156 tastefully appointed guest rooms, suites and luxury condos available, we feature a resort atmosphere in the center of town. 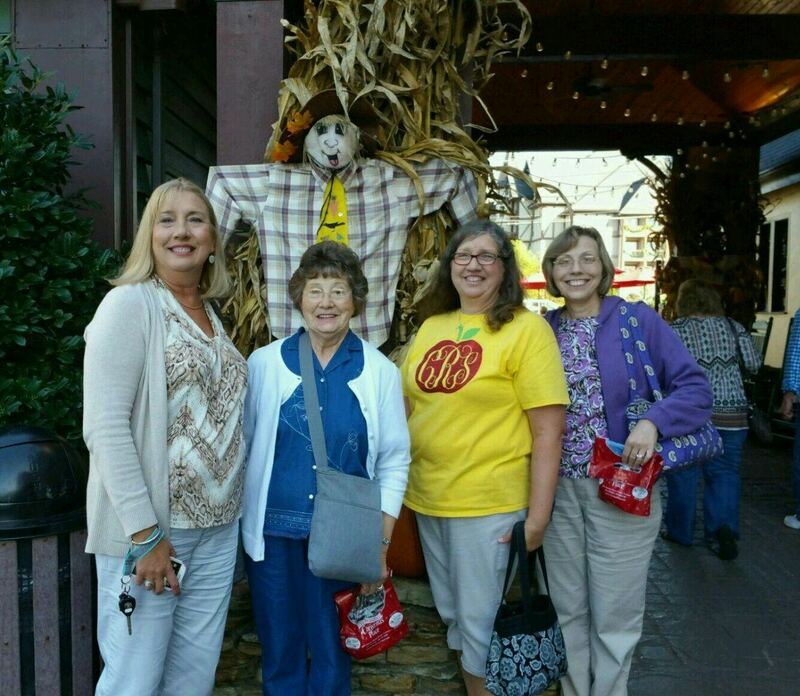 Nearby are favorite attractions such as The Great Smoky Mountains National Park, Dollywood, Dolly Parton's Stampede, WonderWorks, Titanic, The Island, and The Old Mill to name just a few. All of our rooms are equipped with a refrigerator, microwave, coffee maker, iron and ironing board, hairdryer and cable TV. 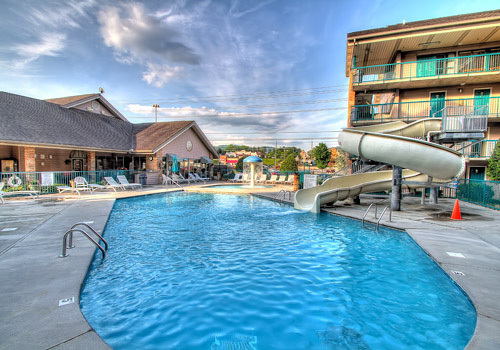 Our large outdoor pool area includes a 75-foot waterslide, rain tree fountain, and spa (open late April through September), and our sparkling indoor pool and spa are family favorites. You'll love our deluxe continental breakfast featuring country style gravy and biscuits. Wireless internet access is available in the privacy of your room. We invite you to visit us and enjoy southern hospitality at it's finest! 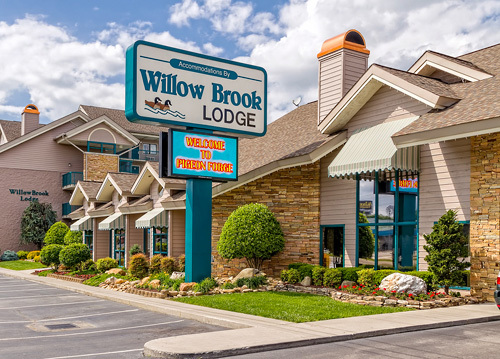 How many rooms are available at Willow Brook Lodge? There are 156 rooms are available throughout at total of 5 floors. Breakfast is served from 7am-10pm. 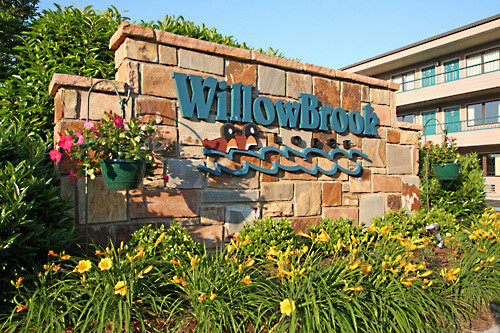 What is the minimum age required for check-in at Willow Brook Lodge? There is no resort fee at Willow Brook Lodge. How much does a rollaway cost at Willow Brook Lodge? Rollaways are $15 + tax per night. Note: Willow Brook Lodge offers air mattresses instead of traditional rollaways. 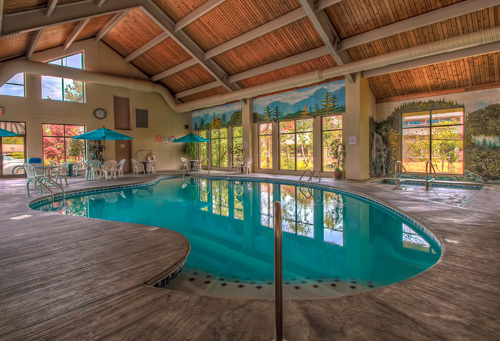 What are the pool hours at Willow Brook Lodge? The pools (indoor and outdoor) are open from 9am-11pm. Wireless internet is available throughout the property. Yes, Willow Brook Lodge is a smoke-free property. Is Willow Brook Lodge on a trolley stop? Yes, the trolley stops right at the hotel’s front door.